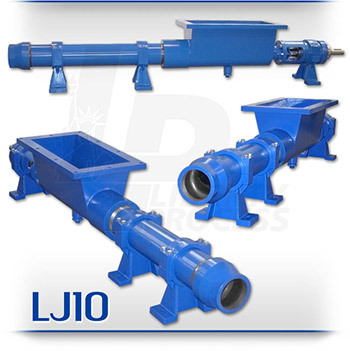 The Justice LJ10 Open Hopper Progressive Cavity Pump is an ideal pumping solution for low-flowable mediums with high solids contents such as vegetables and fruits. Flow rates of 18.8 GPM/ per 100 Revolutions (52 GPM to 84 GPM) at 225 PSI are standard through the range of the series. The Justice Series offers a design of a heavy-duty auger conveyor screw mated to a rotor and stator for the most difficult pumping applications.